Scott traveled all this week which normally means I skirt away from cooking, however, this time around I decided it best to make some meals for me and the girls. Between my diet (grain free) and the girls diet (gluten free and dairy free), its just easier to make our meals at home sometimes. Monday - Easy dinner--Trader Joe's GF nuggets and roasted broccoli. Everything cooks at 425 degrees. Everyone is happy. I ate a leftover burger patty on a bed of lettuce. Tuesday - I made GF spaghetti noodles with Gigi's Spaghetti Sauce. This is Scott's grandmother's recipe and the girls LOVE it. Since Scott can't have red sauce, we decided it was a good time to make it. I served up some Zucchini Noodles for my dish. 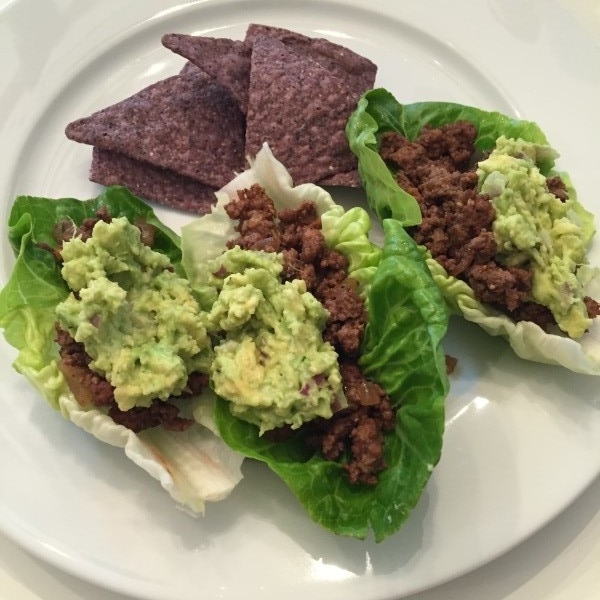 Wednesday - Taco Salad. I decided to push past my desire to have the kitchen to myself during the witching hours and invited Sinclair to cook with me. She browned the meat, added the black beans and seasoning. She beamed from ear to ear. Sometimes we need to let go of our reigns. The girls ate corn chips with it and I ate taco salad. Winning. I used the Gracious Pantry's seasoning recipe. Thursday - Since Scott was away, Chick-fil-a was in order after gymnastics. I ate leftover taco salad when we got home. Friday - I love life in our small community. I had to work at a conference all day Friday so my sweet friend picked up the girls from school for me. Once I got there, we enjoyed an impromptu dinner--sweet chili and corn chips. My heart (and stomach) was so full and it made the last few hours until Scott arrived home much more bearable. Saturday - Atlanta finally cooled down enough to feel like fall so we had chili at some friends' house along with hotdogs, cornbread, salad and raw veggies. Sunday - We took the girls to their first Braves game and they had a blast! 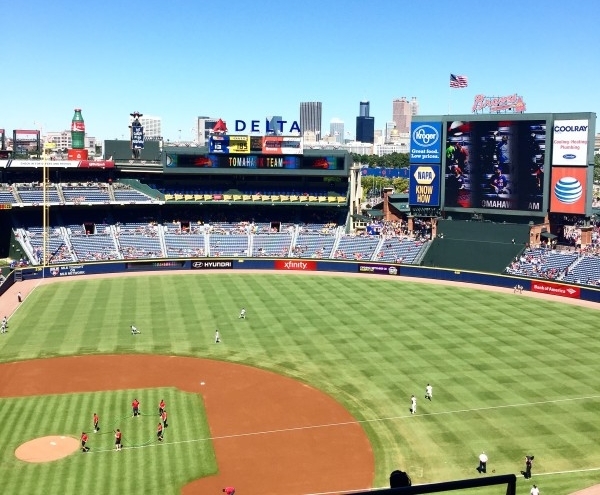 It was seriously the most perfect day to be at the ballpark. We were home for dinner so in keeping with the ballpark theme, we ate hotdogs with chips & guacamole. This is what life is all about--doing life with others. "Each one of us should be able to nourish ourselves in the most basic way and to create meals and traditions around the table that tell the story of who we are to the people we care about. And the only way to get there is to start where you are. If you don't cook, begin by inviting people over. 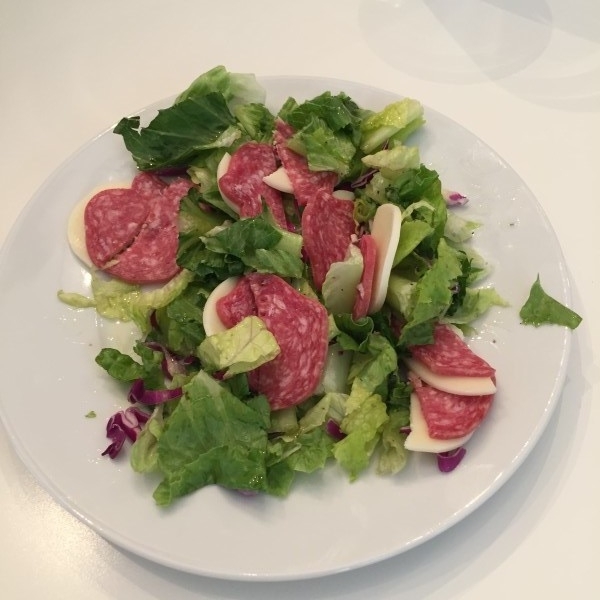 Order pizza and serve it with a green salad and a bottled salad dressing...Focus on making people comfortable, on creating a space protected from the rush and chaos of daily life, a space full of laughter and safety and soul." I took that advice to heart. Our appetizers were simple: store bought hummus, pita bread cut in triangles (cheated on gluten), cut veggies, chips and guacamole. For dinner, we grilled some chicken which was marinated in olive oil, minced garlic, little squeeze of lemon juice, salt, dried, oregano and pepper. I bought a bag of lettuce and added tomatoes and red onion and cooked a side of frozen green beans. It doesn't have to be fancy to create a meaningful meal. Tuesday - I tried a new recipe for GF, DF Meatballs made with coconut flour. These were a win with everyone! They sound complicated but they were surprisingly easy to make. We had the meatballs with leftover green beans and salad. Wednesday - Almond Chicken Bake with roasted cauliflower & onions and rice. Rory's favorite veggie is roasted broccoli so I told her that the cauliflower was broccoli's sister. It was a huge success. She sung the praises of roasted cauliflower all night. I simply toss whatever I'm roasting in olive oil and kosher salt and roast for 30 minutes (tossing halfway through) at 400 or 425 (depending on what other dish I'm using the oven for). The chicken has good flavor but does take a bit of prep work. For the girls, I added a slice of GF bread from Trader Joe's (Udi's brand is our other favorite). Thursday - The girls ate grilled chicken nuggets & fries from Chick-fil-a and I ate leftovers from the night before. Friday - We went to our first local high school football game. We have friends that live across the street from the school so we tailgated at their house with several other families. Small town. Friday Night Lights. So fun. Saturday - Something about Labor Day Weekend calls for grilling burgers. I made my mother-in-law's burger recipe which is 1 pound of ground beef, 1/4 cup finely chopped onion, 1 egg, 1/2 cup of GF bread crumbs, 1/2 t salt, 1/4 t of pepper. Form into patties and grill. These were definitely filling and more dense than a normal burger. So our sides were simple--corn on the cobb and guacamole with chips. If there is one recipe that I have perfected, it's guacamole. I tend to lean towards simple so all it calls for is avocado, red onion, salt & pepper and lemon or lime juice. For us, I mashed up two avocados, finely chopped about 2 T of red onion, S&P to taste and a small squeeze of lemon juice. I want to close with one other quote from Bread and Wine: "That's what this is about. This isn't about recipes. This is about a family, a tribe, a little band of people who walk through it all together, up close and in the mess, real time and unvarnished." I want to encourage you this week to invite someone over for dinner. Start where you are. Be simple. Have fun. Do life together with other people. Invite someone into the mess of life and your heart (and stomach) will be full. You may be wondering why you haven't seen a meal plan post from me. It has been nearly 4 months since I posted one. Maybe you thought I was fasting that whole time--that I'm just super spiritual. Nope. Just no inspiration with food. Do you ever get like that? Like I wonder why my people always need to eat. I'm pretty sure I could survive each day without a real dinner. Popcorn makes a great dinner, right? I don't know what it is, but I would much rather eat the first two meals and skip the last one. Dinner mostly exhausts me. Things haven't changed much in our lives when it comes to our diet. The girls still need to be gluten free and dairy free. Scott still needs to be dairy free. If you have to cook around food issues, then you probably understand how food becomes exhausting really quickly. And well, me, who knows. I've been having weird issues with my hair especially--one side won't grow anymore. Officially a weirdo. And since I am basically a doctor thanks to Google, I've self-diagosed that I probably have adrenal fatigue. To help my issues, I figured it was time to reset my body and go grain free and sugar free. So last Monday, my diet became more limited. It's okay, though. I keep telling myself that its just for a couple of weeks. For the most part, my breakfasts have been eggs (with spinach and sometimes feta cheese), turkey bacon and berries. One morning I made a grain free "oatmeal" with some peanut butter on top. It was a pretty good substitute, however, it did use a banana which I am technically supposed to not eat right now. One morning, I ate leftover taco mixture on top of scrambled eggs. The girls generally eat a GF waffle, turkey bacon and fruit. They sometimes eat Gorilla Munch cereal with almond milk. They drink dark chocolate almond milk each morning for a calcium boost along with their probiotics. Lunch for me is generally either a granny smith apple with peanut butter or almond butter with shredded coconut or homemade chicken salad over greens or leftovers. One day, I had GF pepperoni and mozz cheese over greens with olive oil as a dressing. (I eat dairy free for the most part, but am the only one in the family who isn't required.) The girls tend to either eat nitrate-free turkey, hummus with crackers & carrots, peanut butter with GF pretzels, GF Annie's granola bars, leftovers or GF chicken nuggets. I also throw in fruit leathers, apple sauce pouches and various chips. Tuesday - GF corn noodles (for the kids) & Zucchini noodles (for me) with marinara sauce. I used a handy noodle spiraler that I picked up at TJMaxx. I sautéed the "noodles" in some olive oil and minced garlic for a few minutes and then topped with the sauce (Trader Joe's). Sinclair tried the zucchini noodles and liked them. Rory didn't try this time. Hopefully, next time she will. She is picky about her sauce--only wants her grandmothers. Traders Joe's jar sauce wasn't going to cut it. Wednesday - taco salad I used the Gracious Pantry's seasoning recipe. Simple is best for me. The girls and Scott put their taco mixture over corn chips. I put mine over greens (omitting the corn) and made guacamole as my dressing. 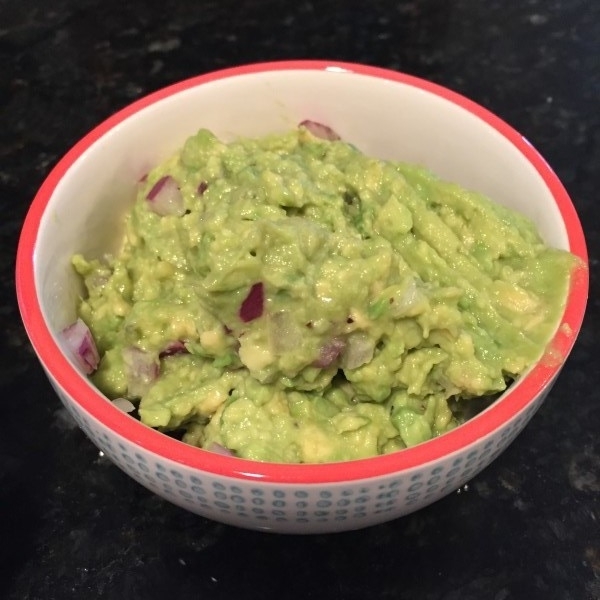 The guacamole is simple--slice and mash up avocado(s), add chopped red onion, kosher salt and pepper to taste. Squeeze lemon juice and stir. Friday - hamburger patties (seasoned with salt & Trader Joe's 21 Seasoning Salute mix), roasted fingerling potatoes (We omit the garlic and simply use kosher salt. This is Rory's favorite side dish), salad (I used guacamole as my dressing). You guys, this past week was INSANE. Epic in a total get-under-the-covers kind of way. We returned from a long weekend getaway to Cozumel, Mexico on Sunday evening. I don't know about your kids but our kids love to ruin us for days if we travel. They enjoy torturing us with their actions and drama to ensure that we never even think about leaving them again. Are your crazy people like that, too? No joke, my oldest threw an epic meltdown Monday that lasted from 5-7:30 pm. You read that correctly. 2.5 hours worth of her screaming, throwing them, attempting to hit me over the head with an umbrella, chastising me with her vernacular and utterly laying on the floor in sheer protest of life. I hadn't been grocery shopping due to my lounging on the beach all weekend long, my plan was to take the girls to Whole Foods after their playdate to pick up dinner. The meltdown happened 1.25 minutes after leaving the playdate. By 3 minutes into the meltdown, the Holy Spirit in me counseled me to go straight home rather than attempt Whole Foods. I yielded to His leading. Monday - GF frozen chicken nuggets for the win + leftover rice + canned green beans. Not at all what I wanted to eat. The meltdown continued through dinner. At one point, my daughter questioned the cat: "Tippy! What?! Why are you looking at me like that?!" DRAMA. Tuesday - my husband worked late so I took the girls to Taqueria Tsuanmi along with one of my besties and her beauties. Kids eat free there on Tuesdays! Friday - My mother-in-law turned 65 this day so we celebrated! I made Chicken Sausage Sweet Potato Hash along with a salad. I picked up a chocolate cake from Trader Joe's and made Rory's favorite PB banana muffins for her dessert. For her gift, we picked out things she loves--a purple flower from Trader Joe's (Rory insisted on purple), chocolate covered sea salt caramels, mocha cappuccino mix and a nice bottle of Chardonnay. You guys don't even know how much I scored when I married my husband. My in-laws are wonderful, God loving, others centered people. Loved being able to celebrate her. Saturday - We had the joy of celebrating a good friend's job promotion at Seed in Marietta. Wow! This food was oh so good. I enjoyed the filet mignon with roasted brussel sprouts & cauliflower. God has blessed us beyond measure with relationships. Unbelievably thankful. I hope this gives you some ideas for what to eat this week! Feel free to share your ideas. I am in a cooking rut. It is Monday again and I realized that I haven't posted our meal plans in a couple of weeks. Sometimes I feel like I am sprinting to catch up on life. Do you ever feel like that? Spring sprung and things became busy. The girls started soccer a couple of weeks ago. They are too cute in their attire. Sinclair is rather polite in the game and Rory has yet to play. She enjoys practice but completely refuses to play in the game. The weather has been glorious lately in Atlanta so we decided to have friends over for dinner after soccer. Monday - leftovers with salad. Something about eating this salad on a fun paper plate made it feel more like summertime. I'm weird. Tuesday - BBQ chicken. I put a few chicken breasts (just over a pound) in the crockpot and poured BBQ sauce from Trader Joe's on top. After 4 hours on high, I just pulled the chicken apart with forks. We ate it on top of baked potatoes and a side of roasted broccoli (Rory's favorite these days). Thursday - Italian Chicken in Crockpot. Honestly, we didn't love this recipe. I think in theory it seems great but something about the smell and taste didn't sit well with me. Friday - I was going to eat leftovers but just couldn't do it. So breakfast for dinner instead. I hope this gets your wheels turning for what to eat this week.